Unclean establishments can turn away customers and could raise the ire of local health authorities. Cleaning up large commercial spaces, however, can cost a lot of resources and water, which is hardly ideal either for the environment or the proprietor’s wallet. Proprietors of businesses that require a lot of cleaning and maintenance (such as restaurants, groceries, convenience stores, etc.) need to consider the amount of water and materials they need to get the job done. By choosing from the many floor scrubbers for sale by manufacturers like Minuteman International, business owners can potentially save on costs, and on their water usage. 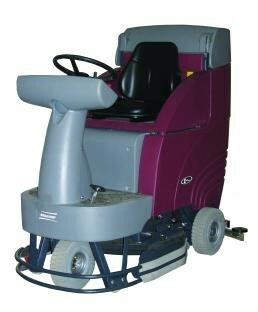 The best commercial cleaning machines are so efficient, they require little to no water to be utilized. Traditionally, cleaning a floor meant using large amounts of water to mop away messes and rinse flooring clean. Floor scrubbers can economize water usage since they use only precise amounts of water to scrub a hard surface. By using just the right quantity of water, floor scrubbers are not only economical but also efficient, leaving only minimal moisture so that the floor surface dries up and is ready to use in minutes. Scrubbing a floor manually often involves the use of strong detergents to strip away stains, but such substances can be hazardous to both people and the environment. Floor scrubbing machines, on the other hand, are quite efficient at cleaning floors and removing stains that they use little to no chemicals at all. Those who prefer their floors smelling fresh, but not detergent-fresh, can appreciate such a feature. Simply taking a lot of time to clean the premises of a business can be bad for the environment, especially if it means using up a considerable quantity of energy, manpower, and resources. Instead of hiring an entire crew of janitors, businesses can instead employ a single person armed with a commercial scrubber to do the same amount of cleaning for much less. Having a smaller and more efficient cleaning crew also means cheaper overhead costs.